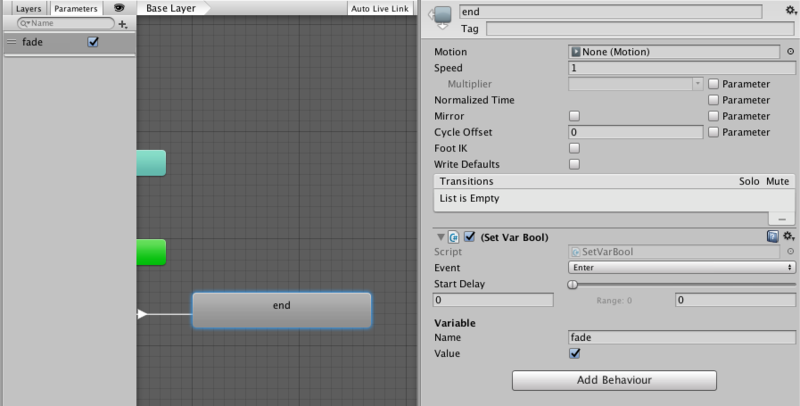 A micro-framework for changing Unity 3D's Animator parameters with ScriptableObject(s). Designed to make going from custom scripts to Animator parameters easy. Works with 2D or 3D projects. A micro-framework for changing Unity 3D’s Animator parameters with ScriptableObject(s). Designed to make going from custom scripts to Animator parameters easy. Works with 2D or 3D projects. How to use the AnimatorPlayback object to play animations with variables. Call playback.Play(MY_ANIMATOR); to trigger the variables. Note that the AnimatorPlayback objects are fully unit and runtime tested due to their level of complexity. Please file a GitHub issue ticket if you’d like to request a feature. You can view the current roadmap here. There are several animator helper scripts to assist you with Animator Behavior(s). These are aimed at allowing you to interact with the Animator without having to write additional scripts to tweak variables and playback. Here is a brief list of helpers. New ones will be added as the repo is updated over time. See documentation on methods (in code) for complete details. 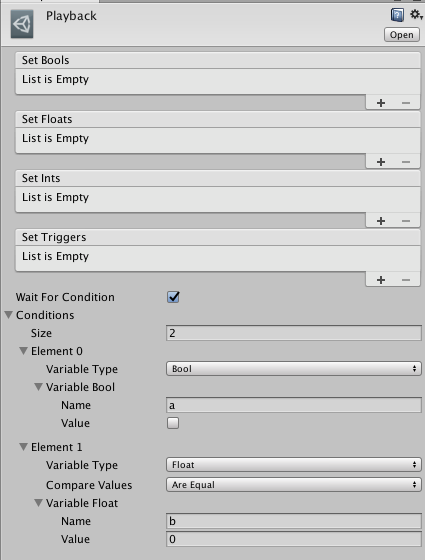 Unity Animator Helpers extends the pre-existing functionality of Unity3D’s built in Animator component with static extensions. This doesn’t hurt or break any existing functionality. For example you could do the following to check if you have a particular bool parameter. Animator extensions perform some caching to make lookups instant. This only happens on the first extension call per unique AnimatorController. While this generally shouldn’t cause performance problems and is almost instant. You may need to call AnimatorHelperRuntime.Instance.Cache(Animator) on Start or Awake if your Animator(s) have over 300 parameters. Please note that your AnimatorController object (what you pass into the Animator via inspector) must be uniquely named in order for the caching to work correctly. This library provides an AnimatorStub (editor only) class that makes testing animations via pure code super simple. All you need to do is the following.